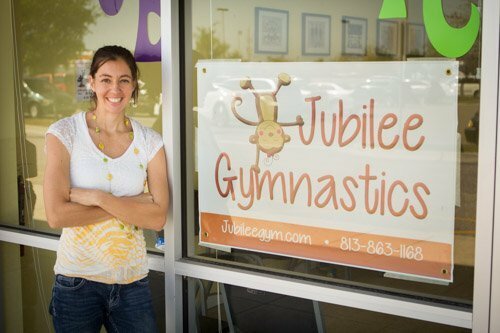 Jubilee Gymnastics was established in 2013 beginning with a preschool program run out of a local dance studio 2 days a week. The owner, Marybeth Wang, is a former competitive gymnast, experienced coach, mother of 2 boys, and current American Ninja Warrior competitor. Gymnastics played such an instrumental role in developing who she is today and she wants nothing more than to pass on that legacy to the next generation. Marybeth strives to provide a quality program in a creative and uplifting atmosphere. 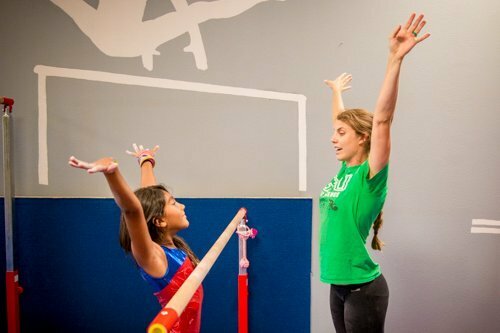 As an introduction to gymnastics, Jubilee Gymnastics offers a range of classes with a clear emphasis on the joy of movement. The program is designed for children ages 18 months – early teens. Our goal is to encourage confidence through exercise, develop strength, flexibility, and coordination and most of all have lots of fun! Classes are structured, but not rigid so that children can channel their physical energy, while learning to socialize with other students in a safe and fun environment. For our Preschool program ages 18month – 5 yrs, they have their own side of the gym with mini-sized equipment to fit their needs. They usually focus on 3 events each week with a few fun theme weeks around holidays and such! Our Recreational Gymnastics classes ages 6 and up focus on 2 main gymnastics events per class along with conditioning and stretching. The program is designed to follow a progression of age appropriate skills and you can join in anytime. If you have a student brand new to gymnastics, they will start in one of our Novice classes to get a solid foundation of skills and terms on all 4 gymnastics events. Our Ninja-fit Program is designed to build strength, discipline, agility and perseverance. It is a great cross-training activity for any sport and offers the opportunity to compete as well in local ninja competitions. Our classes begin with an opening cardio warm-up and stretching time. Here our gymnasts learn the gymnastics positions, follow the instructor’s specific directions, and stretch out their muscles. We then move on to the Circuits or Obstacle Courses. This is where your child will transform into a Gymnast before your eyes. 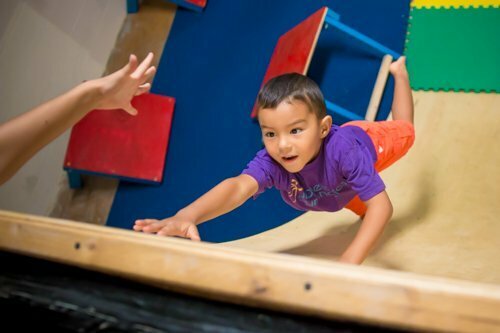 You will see them Jumping, Balancing, Swinging, Strength Building, and Tumbling their way around our skill circuits. Our Preschool classes typically end with a fun and challenging closing activity or game using props like the parachute, rhythmic ribbons, balls or hula-hoops. Our class sizes are kept small to ensure each child receives the individualized attention they need to progress and succeed! Give your child a Birthday Party they will remember forever! We plan an action packed party with gymnastics and games tailored to the ages of the guests. Find out more.